Found 4 file extension associations related to Aegisub and 4 file formats developed specifically for use with Aegisub. 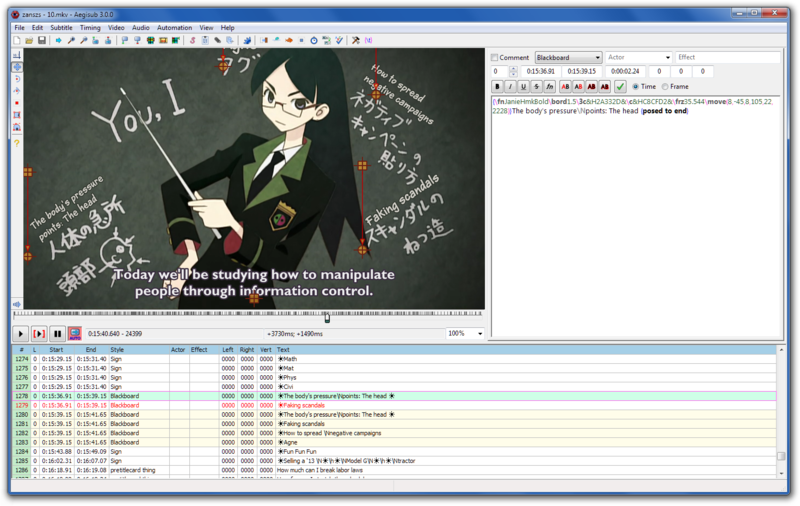 Aegisub is an advanced subtitle editor for Windows, and UNIX-like systems, such as Linux, OS X and BSD. It is open source software and free for any use. Best free software for movie subtitle editing - Top free software for creating and modifying of movie subtitles. If you need more information please contact the developers of Aegisub, or check out their product website.